Soup has always been part of the meal in a typical Chinese home, as they believe that it is an important component of maintaining one’s well being. Soups are often seasonal. In the winter, the goal of soups is typically to counter the dryness of cold wind and heating. Also, they are typically more savory as the idea is that they can help keep you warm. In the summer, they are usually more refreshing, and are geared towards improving the appetite and to replenish fluids lost from sweating. A wide variety of ingredients may be used to make soups, such as meats, seafood, vegetables, fruits, and herbs. Soups with herbs have medicinal benefits. Vegetables can help cleanse the body, and fruits provide hydration or moisture to the body. 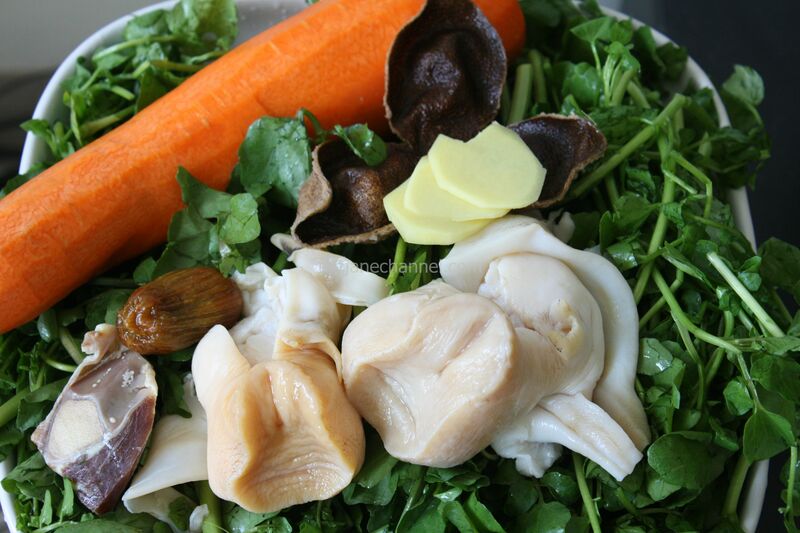 This soup has the sweetness from carrots and watercress, plus the flavor of fresh seafood. 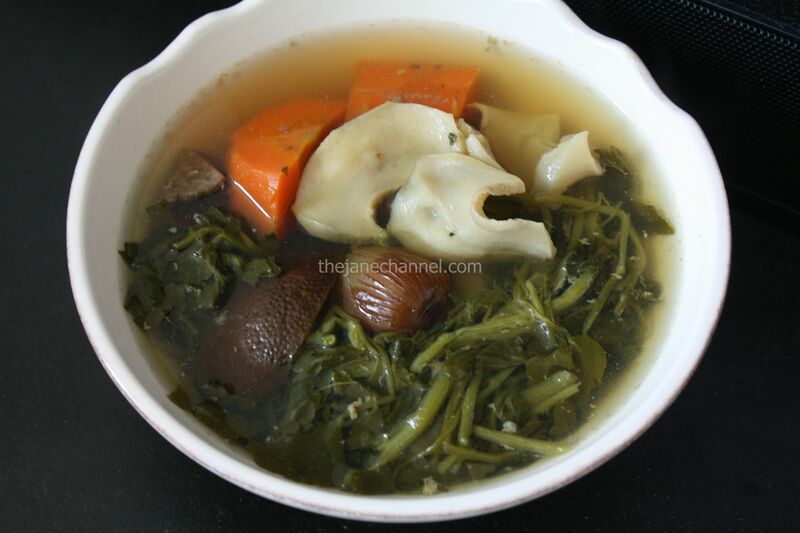 I hope you will try to make this delicious and nutritious homemade soup. Meanwhile, heat oil in a skillet over high heat. Stir in gingers until fragrant. Add the sliced conchs. Stir fry for couple minutes. Then transfer the gingers and conchs to the pot of boiling water. Add carrots, watercress, dried ham, candied dates and dried orange peel in the pot. When it boils again, reduce heat to medium-low and simmer for 2 hours.